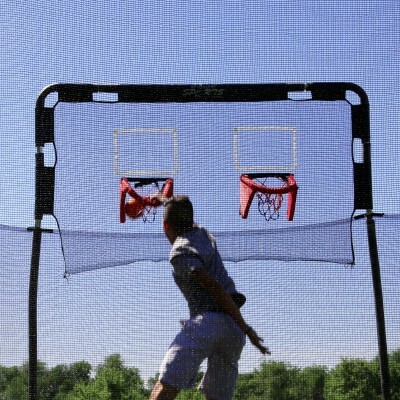 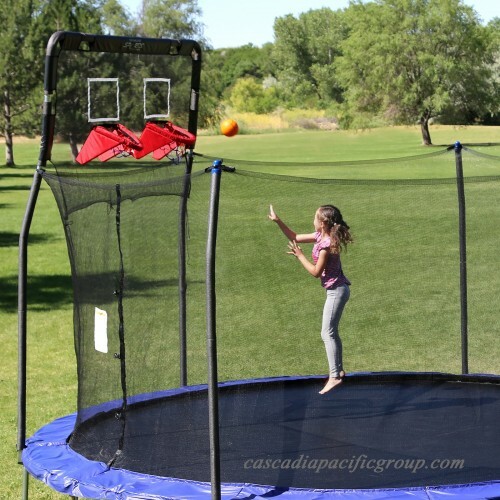 Turn your trampoline into a basketball court with the Skywalker Trampolines Double Basketball Hoop for 12' Trampolines. 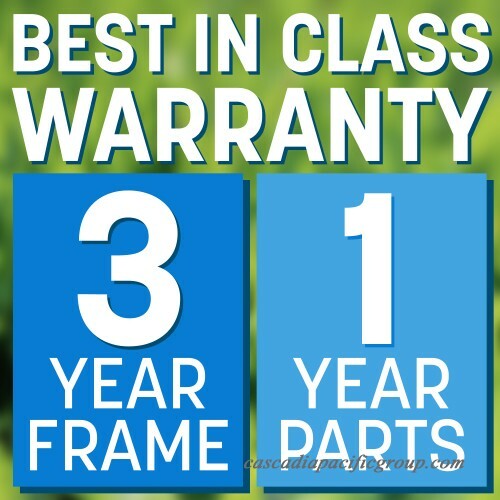 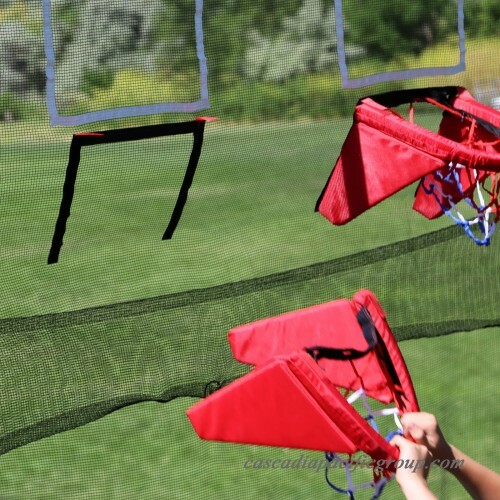 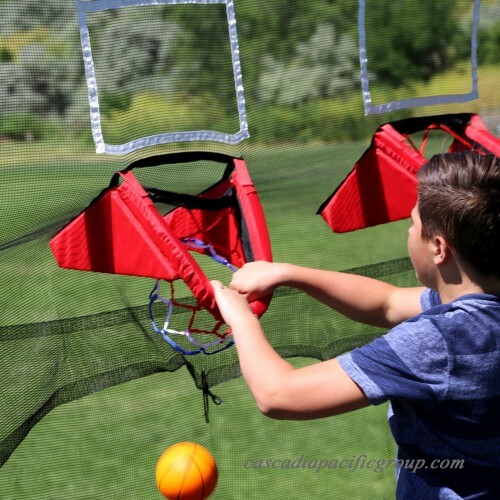 This accessory will attach to the enclosure poles on your 6-pole 12' round Skywalker Trampoline, allowing your kids to show their skills on the court. 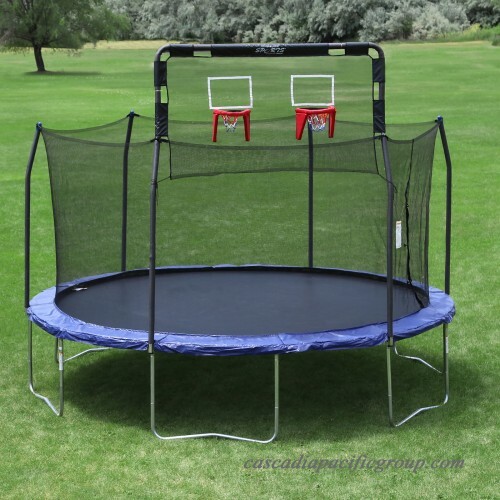 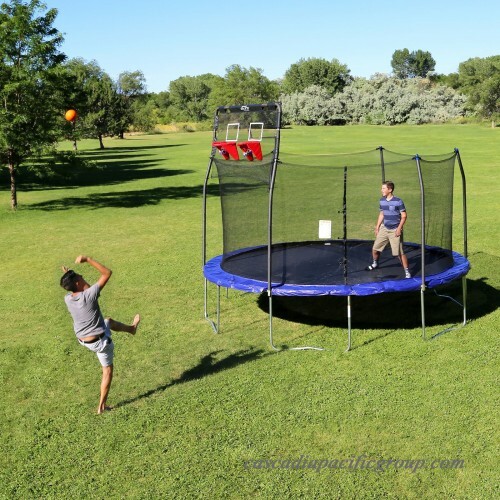 The hoops can be turned toward the inside of the trampoline to give one jumper multiple targets, or it can be turned to the outside of the trampoline, allowing the whole family to take a shot from the grass. 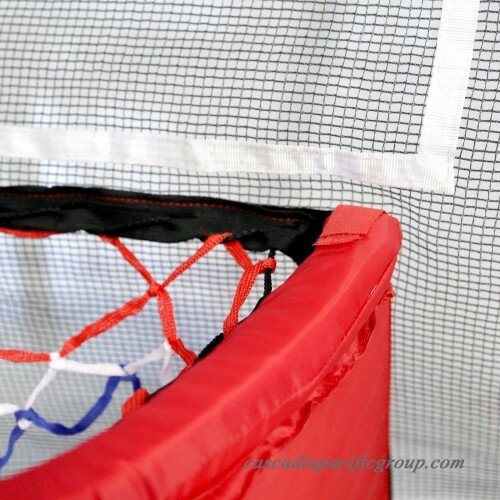 The hoops themselves feature a unique hook and loop attachment, allowing them to break away when sufficient force is applied, keeping kids safe while dunking. 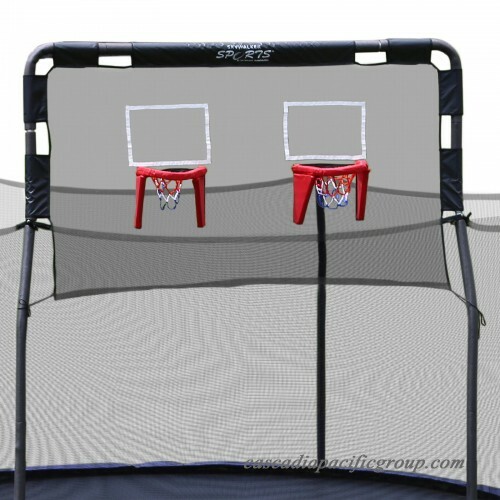 This double basketball hoop accessory is sure to provide safe family fun for years to come!